Along with instrumental tuition provided by our Franciscan Colleges Instrumental Programme, vocal tuition is also available at Padua. Lessons can be provided for individuals or in pairs provided there are applicants of similar ability. Vocal technique, aural skills and sight-reading, along with the theory of music, are included in tuition. Vocal students will enjoy a variety of repertoire to build solid foundations in overall musicianship. Lessons can be directed towards A.M.E.B. examinations if required. Padua has a strong tradition of fostering musical talent. The College supports two choirs; the Assisi Vocal Ensemble and the Greccio Vocal Ensemble. The choirs regularly perform in liturgies, assemblies, awards nights and other important events, and are featured in a number of special concerts during the year. Members also attend specialised choral workshops and master classes, which have helped them achieve significant success at choral competitions. Kodaly methodology forms the basis of both the classroom vocal activities and the vocal ensemble, and over many years has provided wonderful success and enjoyment for a great many boys. 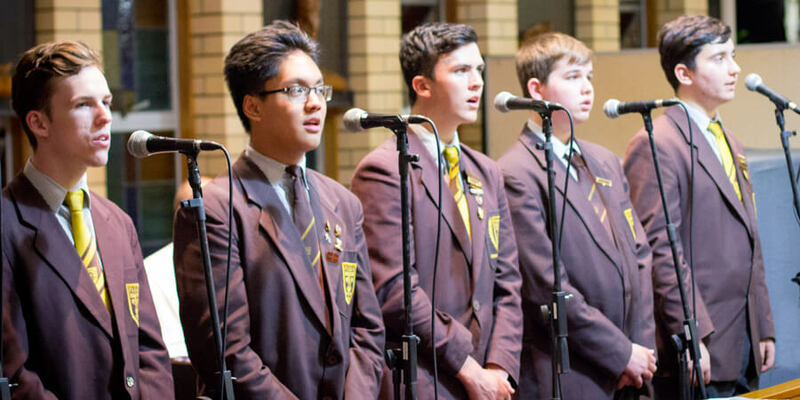 The Senior Vocal Ensemble at Padua College is a non-auditioned ensemble consisting of students in Years 8 – 12. During rehearsals, students learn a variety of skills including harmonising, score-reading and vocal performance techniques, all whilst developing confidence. Repertoire is drawn from a range of genres and styles and includes classical, folk, jazz and popular songs. Senior Vocal Ensemble regularly performs at school and community events and competitions, as well as participating in workshops with local and international performers. The group rehearses every Thursday afternoon until 4.30pm. The Greccio Vocal Ensemble, started in 2012, is a modest sized choir of enthusiastic students from Years 5 – 7. 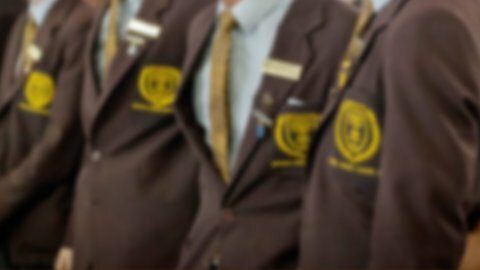 Membership is designed to be inclusive with the expectation that once students join they commit for the year. Rehearsals are held every Friday morning from 7.30am – 8.15am. Greccio Vocal Ensemble members gain opportunities to develop secure and healthy vocal technique and to experience the challenges and pleasures of choral singing. Members develop confidence through singing a variety of repertoire including classical, folk, jazz and popular songs. There are a number of opportunities for the members to perform throughout the year at school, competitions, workshops and community events. Padua College’s Liturgy Group is an ensemble made up of voices from both the Assisi and Greccio campuses, as well as accompanying instrumentalists. The Liturgy Group performs at all House Eucharists, whole school Eucharists and various other spiritual celebrations throughout the year. There are no regular rehearsals for this group (rehearsals are called before major performances) however members are encouraged to also join one of the colleges’ choirs which rehearse weekly.